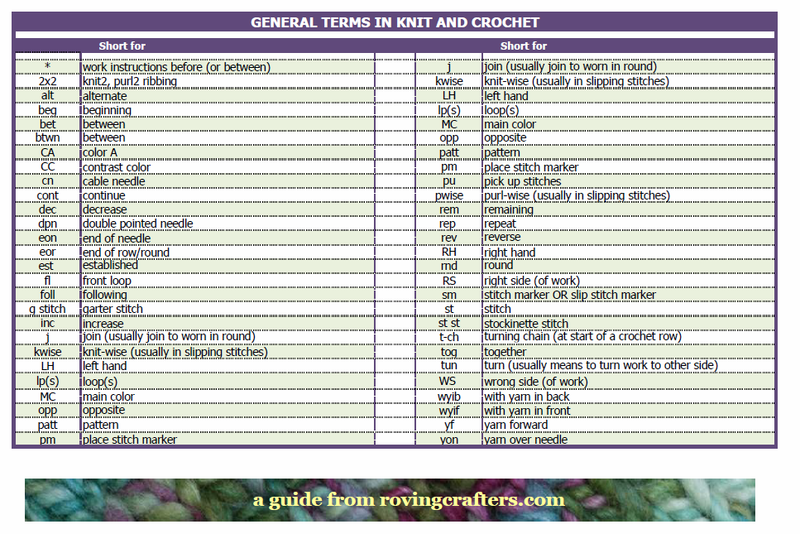 Knit and Crochet Terms Explained! Some patterns are easy to read. Some are so full of special terms and abbreviations that they look like a pre-WWII secret government code. Why (whywhywhy) are patterns written this way? I think its a hold-over from before the digital age, when all patterns were type set or even written out long hand and then mimeographed. It was a way of saving space on the printed page. It sure does complicate things. If you’re a beginner, or simply a beginner at reading patterns, wading through all the abbreviations can be overwhelming. 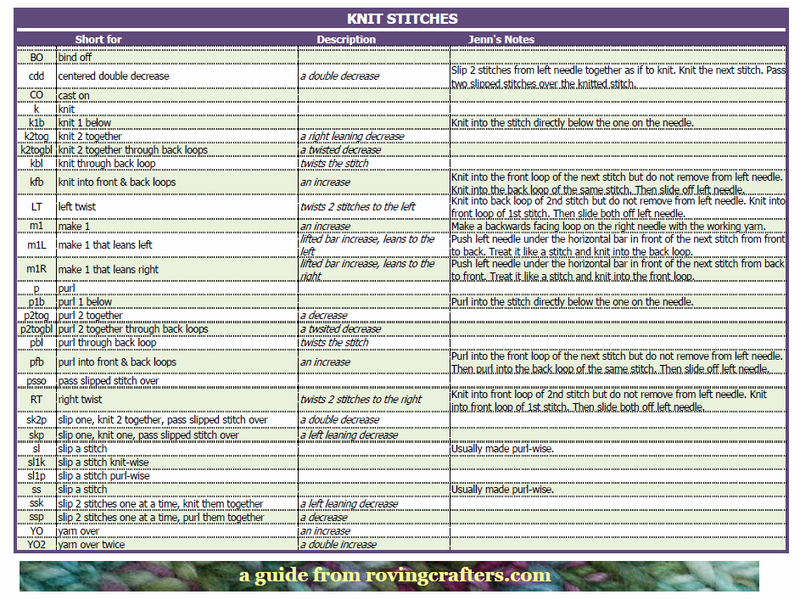 Most instruction books or pattern books have a stitch guide of the commonly used terms… in that particular book. And of course books and pattern writers haven’t fully standardized yet, which If you’ve been stitching for any length of time I’m sure you’ve noticed. I recommend to my students that they start a personal list, like in a notebook, of the terms they find in patterns and what they mean with some notes on how to make special stitches. Ya know, I don’t think many of them do that. Its a good idea, and they all seem to think its a good idea, but achieving that level of organization is hard when you have jobs, and grocery shopping, and kids, and an entire life to manage. Which I why I give out my own personal list of terms and notes from time to time. That saves everyone a lot of effort and hopefully helps when working with a densely abbreviated pattern. So I thought I’d give it out here on the blog too. Another good idea right? Well… things that get published on the internet have to be pretty and formatted correctly and easy to download. Of course that took me, the tech-challenged crafter, a bit of doing but I think I’ve managed it. I’m almost certain these guides can be downloaded and viewed on any device. or click here for a downloadable pdf version. June 9, 2016 – I had to remove that link. Sorry. The third part site I was using to host documents for download was compromised. When I have a new host site, I’ll fix the link. These don’t have every term and abbreviation you’ll come across but its a good start. 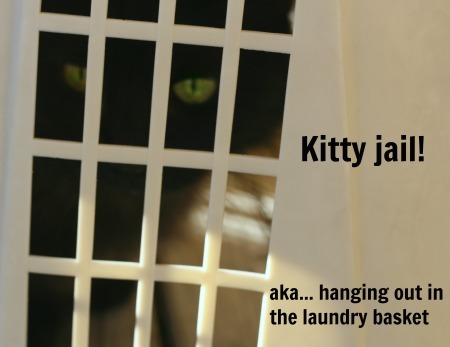 If you don’t have a list going of your own because of life, laundry, and little bad cats, use these! 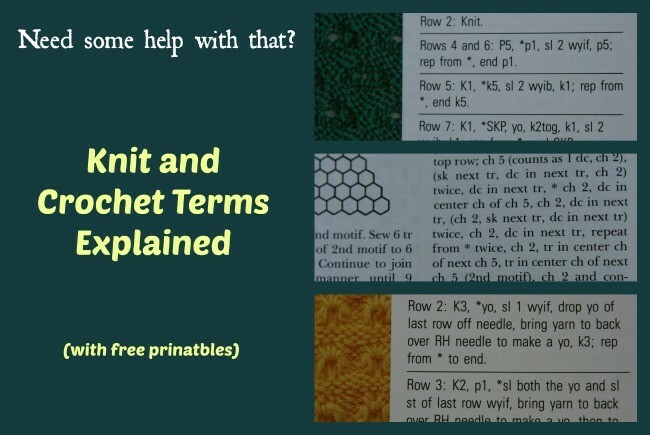 6 Comments on "Knit and Crochet Terms Explained!" That’s such a nice thing to do ? 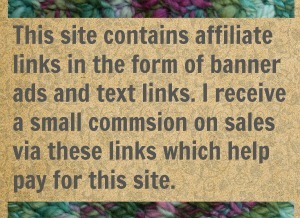 I’m all set now, but I would have loved this (or the note suggestion) when I first started knitting! Thank you on behalf of the newbies ? Oops! Sorry I didn’t think of it sooner. I’ve been warned that one day I’ll run out of things to write about on my blog. I don’t think I will. I’m always telling myself “Hey! You should make that a blog post!” and then forgetting. And then remembering it again. And then adding 6 other things to the list. I really need to quit all my jobs and just write for this site all day long. then maybe I’ll run out of things to talk about. You are most welcome! I do hope it comes in handy. What a great idea. I’ve been keeping a crochet notebook for some time (years) for terms, how-to’s, ideas etc. 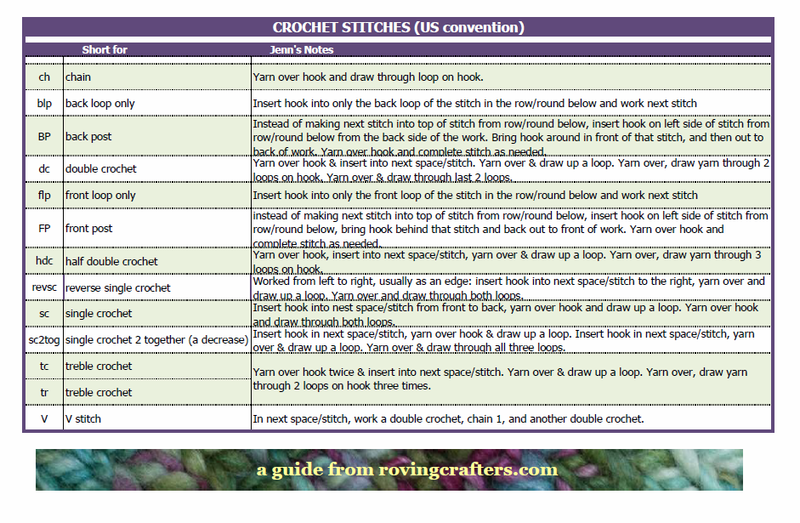 As a newbie knitter I really appreciate your chart. Thank for going to all that trouble for us! Any time! I mean that. Any time I can foster the yarn addiction I will. Who wants to waste precious minutes looking up a stitch when they could be making that stitch? No one.